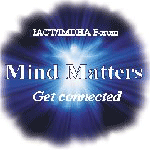 A: Although the conference is targeted to hypnosis and wellness practitioners, it is open to the general public. Q: When will the conference take place? Where is it located? 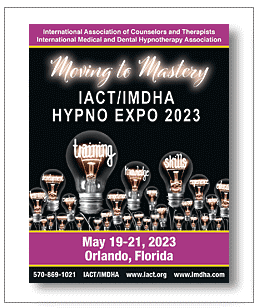 A: The Hypno Expo Annual Conference will take place May 18-20, 2019 at the Daytona Beach Resort and Conference Center in Daytona Beach, FL. Please click here for more information. Q: What is included in the cost of registration? A: Full conference registrants receive access to 48 FREE lectures, continental breakfast each morning, the Friday Evening Social – Yes, we supply food and entertainment, the Saturday evening Awards Dinner – a 3 course meal and entertainment is included, 3 days of specialty shopping in the Exhibitor Area, prizes and light refreshments offered throughout the weekend, Continuing education credits. Q: What meals are included with my registration? A: We provide daily continental breakfast and light breaks midday. The Welcome Reception on Friday evening includes light refreshments and cash bar. The Saturday evening awards dinner (plated) is included with full conference registration. Lunch is offered on Saturday and Sunday (additional fee applies). Q: Who can attend the welcome reception? A: All conference registrants are invited to attend the Welcome Reception on Friday night. Attendance is included in the price of your registration. Q: How can I receive a conference brochure? A: To download the brochure click here. Q: Who is eligible for a special rate? A: Members receive a discount by logging in to their account page prior to registering. Early bird discount applies until April 17th. Please click here for additional registration information. Q: Are workshops included in conference registration? A: You can register for workshop electives when completing your conference registration. Workshops are not included in conference registration; special pricing applies. Q: I only want to attend one day of the conference, is that possible? A: Yes, one-day conference registration is available. Please note that your registration is valid only for sessions and events on that day and badges will be actively checked throughout the conference to ensure that participants have registered properly. Q: Can I register at the door? A: Yes! We encourage pre-registering for courses and workshops, however all are welcome to register at any time. Q: When is the conference registration desk open? A: Yes! Complete details are posted on the Association’s website. A full conference schedule, including all conference lectures, workshops, courses, educators and activities are available for your convenience. Please click here for a complete schedule lineup. Q: Where are the classes being held? A: We provide a hotel map and conference schematics that are helpful in finding your class location. Q: Is there a dress code at the conference? A: Business casual is appropriate for all sessions. Cocktail attire is appropriate for Saturday evening. No jeans please. A: Early bird room reservations are available until April 17th or the block of rooms are sold out – whichever comes first. To make your room reservation click here. Q: Can we reserve our room for next year’s event? Q: What services are available for special needs and requests? A: We encourage persons with disabilities to participate in programs and activities. Please alert the Daytona Beach Resort when making your reservation. It will be noted at the front desk upon arrival. If you have dietary preferences, please be sure to mark those on the space provided on the registration form when you register. Q: How can I reserve exhibitor space in the exhibit hall? A: Space is available on a first-come basis. Exhibitor information is available on the Conference page of the website. Q: When will the exhibit hall be open? A: Doors open to the public at 8:00 am Friday, May 17th and continue through Sunday afternoon May 19th. A complete schedule is available on the Association’s Guidebook app while the conference is in progress. Q: What presentations will be recorded? A: All 45 minute lectures viewed on the live stream are recorded for posterity. Q: What sessions will be on the conference recordings? A: All successfully recorded lectures are included in the conference mp3 package. Q: Are there video recordings available of the classes? A: Video recordings are optional. Please check with the Association for confirmation and pricing. Q: When will the mp3s be available? A: Participants should plan to receive their recordings within 30 days of the event. Q: How many people are expected to attend each workshop? A: It is difficult to gauge how many participants to expect, as workshop tickets are interchangeable. Q: How many people are expected for each lecture? A: It is difficult to gauge how many participants to expect as all lectures are open to conference attendees. Q: How are CEUs calculated? A: CEUs are calculated on an hour for hour basis. By attending full conference you are awarded 30 continuing education units. Validation upon request. Q: Will I receive a certificate of attendance? A: A certificate of attendance is available upon request by emailing the Association post conference. Q: Can I renew my membership while I am here? A: Absolutely! However there will be a slight delay in processing your renewal. Q: What is the weather like in Daytona Beach in May? A: Daytona Beach, Florida has a warm humid temperate climate with hot summers and no dry season. In mid May average temperatures span between 85 degrees high and 64 degree temperatures as a low. A: Upon full payment of conference registration fees, the participant may request an invitation letter by emailing the Association. We will not supply an invitation letter to unpaid or unregistered participants. We reserve the right to refuse to provide invitation letters for attendees. Obtaining a visa remains the sole responsibility of the participant. Regular cancellation deadlines apply, regardless of whether your visa is granted or not. A: Registration fees are refundable, less a $25 processing fee, up until April 17th. No refund will be issued for cancellations after April 17th. Q: My question is not listed here. Whom do I contact? A: Please contact the Association through the contact information listed on the website.